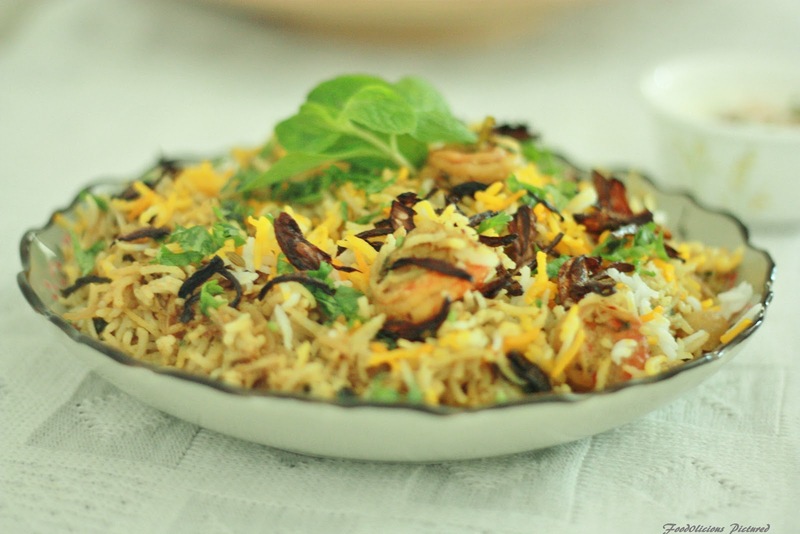 For all the seafood lovers, here’s a delicious prawn biryani… I was running late for preparing lunch, but wanted to make something nice as our Sunday lunch at home is always special. 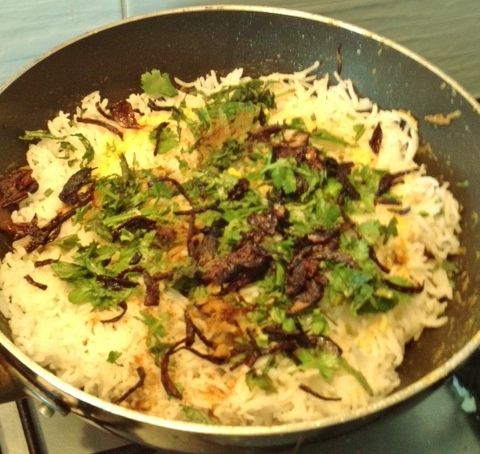 Since there was not much time for marinating and the long cooking procedures, I decided to make a quick biryani and made this delicious rice in about 45 minutes (where I usually take more than an hour). 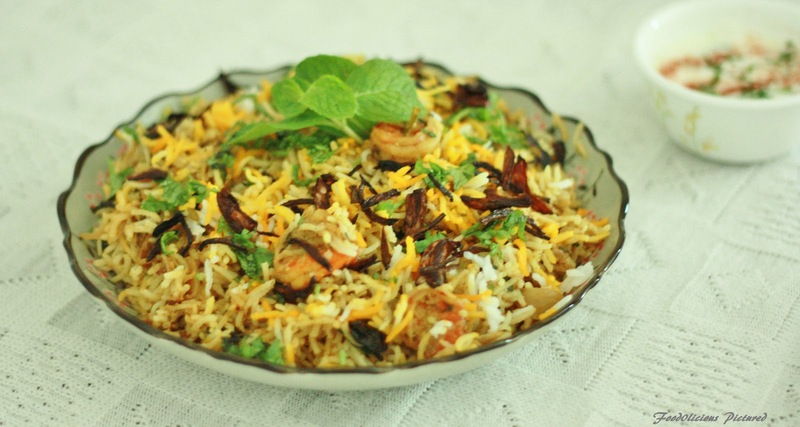 So here’s the Quick prawn biryani recipe. Cook the rice with all the dry spice, salt and 2 cups water till done. Heat oil in deep pan. Shallow fry the prawns and set aside. Add the ginger-garlic paste, chilies and continue to fry till the raw smell is gone. Add water if you need to as you don’t want the gravy to be too dry but enough to mix well with the rice. Once the prawns is done. Lay the cooked rice on top of the prawn masala. Sprinkle the saffron milk, half of the fried onions, chopped coriander and mint leaves. Please note – you can use tomatoes instead of yogurt. You will need 1 medium tomato.